Started training in Karate and Kung-Fu , then moved on to train in Greco-Roman and Freestyle wrestling and Muay Thai. While training in Muay Thai, he travelled to Bangkok, Thailand to train at a pro Muay Thai gym. After graduating McGill University, left for Taipei, Taiwan, working at the Taipei American School as a gymnastics coach. There his training continued, learning Sanda, Chin Na, and Qi Gong. Living in Taipei for 1-2 yrs, he left for Japan, where he found his true training. There he trained in sport and Combat Sambo, Shootboxing , Submission Wrestling and Judo. He finally returned to Montreal, after spending 5-6 yrs in Japan. 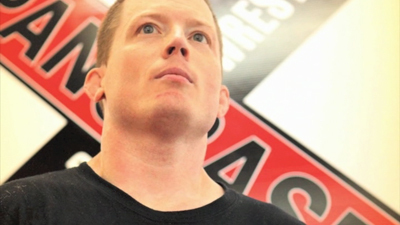 In 2000, he opened Club Kozak, Quebec's first Combat Sambo gym and in 2008, affiliated with Pancrase; becoming Canada's only gym affiliated with Pancrase. He was the former Canadian delegate to FIAS from 2001-2005, and participant in the 2000-5 FIAS World Sambo Championships and 2005 FIAS Combat Sambo World Championships. Presently he is director of The Canadian Institute of Combat Sambo and promoted the first Combat Sambo event in North America and continues to promote events in Canada. He returns yearly to Japan to continue with training at the Pancrase gyms (PsLab Yokohama) and Innagaki-gumi (Ps Lab Osaka). - Recognized by the Japan Sambo Federation. - Member coach of the Taipei Sanda Association. - Certified under Wrestling Canada.